Well, I don’t know about that, but knowing how to make Irish Pan Boxty can at the least win over a few friends. 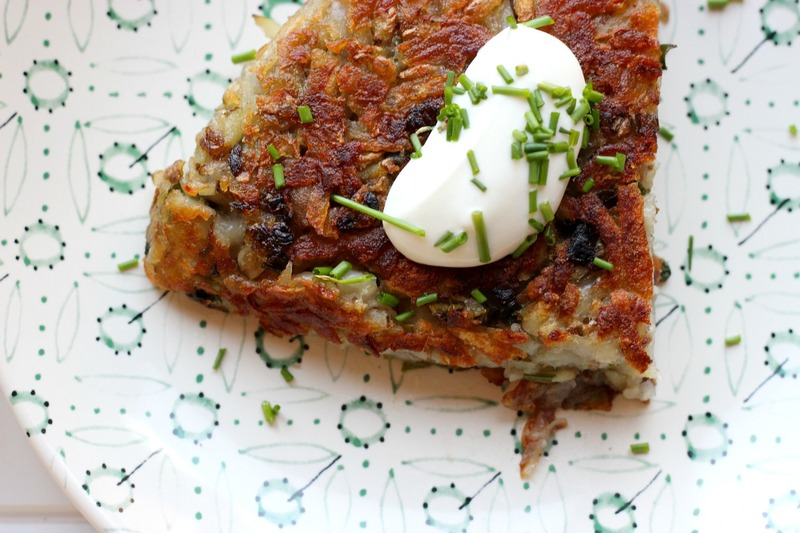 What’s Irish boxty? A cake of grated potato pan fried in butter. The Irish know how to please. According to Traditional Irish Cooking by Darina Allen, boxty seems to have got it’s start in the late 18th and early 19th century when the potato harvests began to fail. The resourceful Irish, used poor quality potatoes to cook up these cakes. I’ve seen boxty done a number of ways. 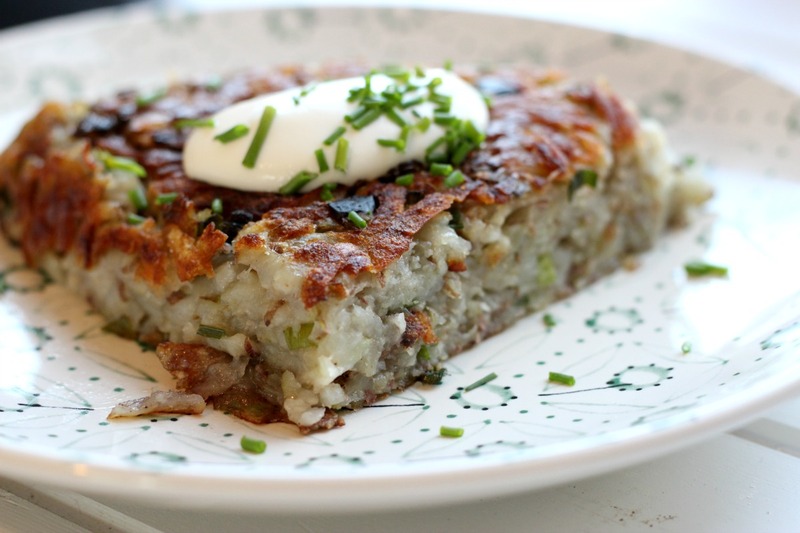 Some recipes use a combination of mashed potatoes and grated potatoes which make more of a potato pancake. The green onions in this recipe is not traditional but adds a nice flavour. Fresh herbs are also often added. Wash the potatoes. No need to peel them. To pass them easily through the grater, I cut them in half. It makes it easier for me to hold on to the potato. Line a bowl with cheese cloth. Put the grated potatoes into the cheese cloth and squeeze out any water. Place the cheesecloth into a strainer and over the bowl. Allow the potatoes to sit for about an hour to let any excess water out. Throw the water out but keep the starch that has accumulated at the bottom of the bowl. Place the drained potatoes into the bowl. Add the flour, salt, a few shakes of pepper and green onions. Make sure to liberally salt the potatoes. Mix thoroughly. In a 10 inch cast iron skillet add a couple pats of butter over medium heat. Once the butter has melted add the potato mix, evenly distributing it into the pan. It should be about 3/4 inch thick. Once the one side has browned, flip over and let the other side brown and crisp up. 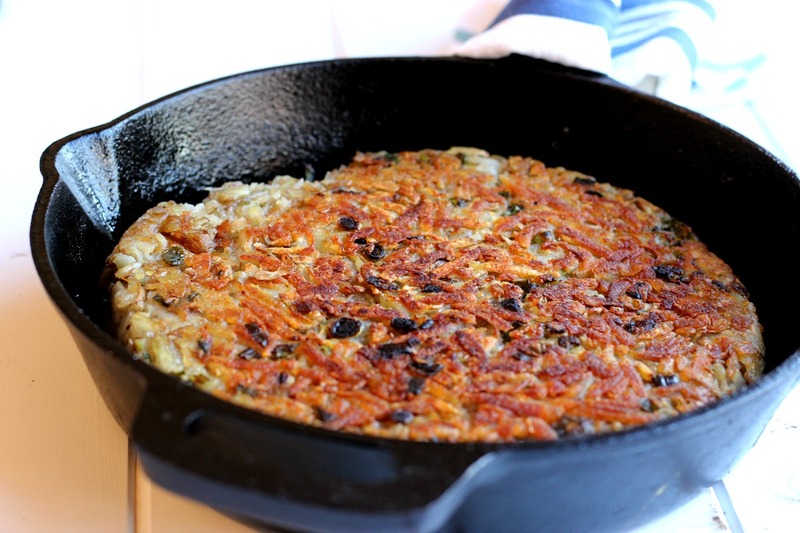 I use a large dinner plate to flip the boxty onto then before sliding it back into the pan, I add another pat of butter.